This ECG is from a middle-aged woman who presented with 2 hours of chest pain and shortness of breath. She has a history of hypertension. What will you do for this patient transferred to you who is now asymptomatic? 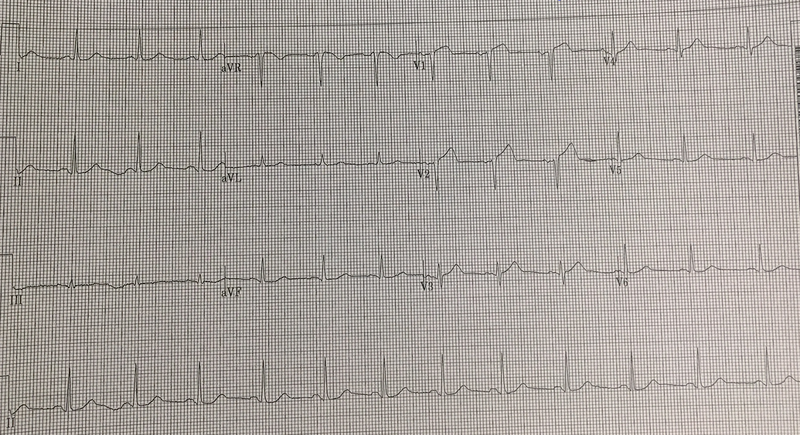 This ECG shows ST elevation in V1 and V2, caused by a proximal LAD occlusion.